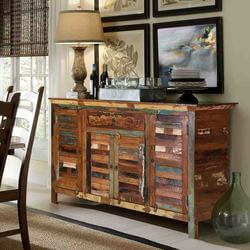 Seeking that perfect blend of fun and functionally for your dining room, office, kitchen, or foyer? 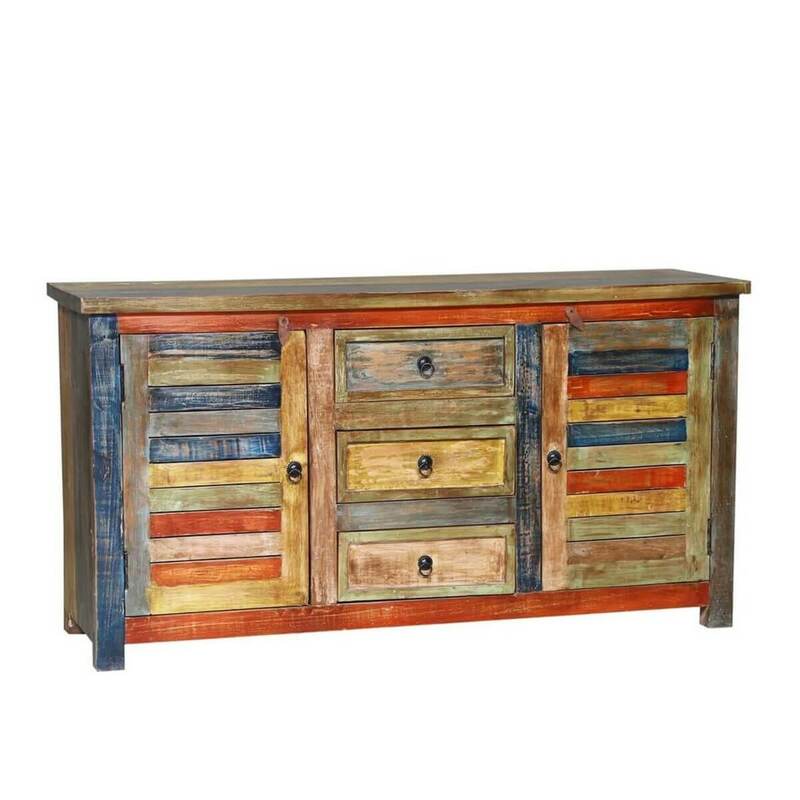 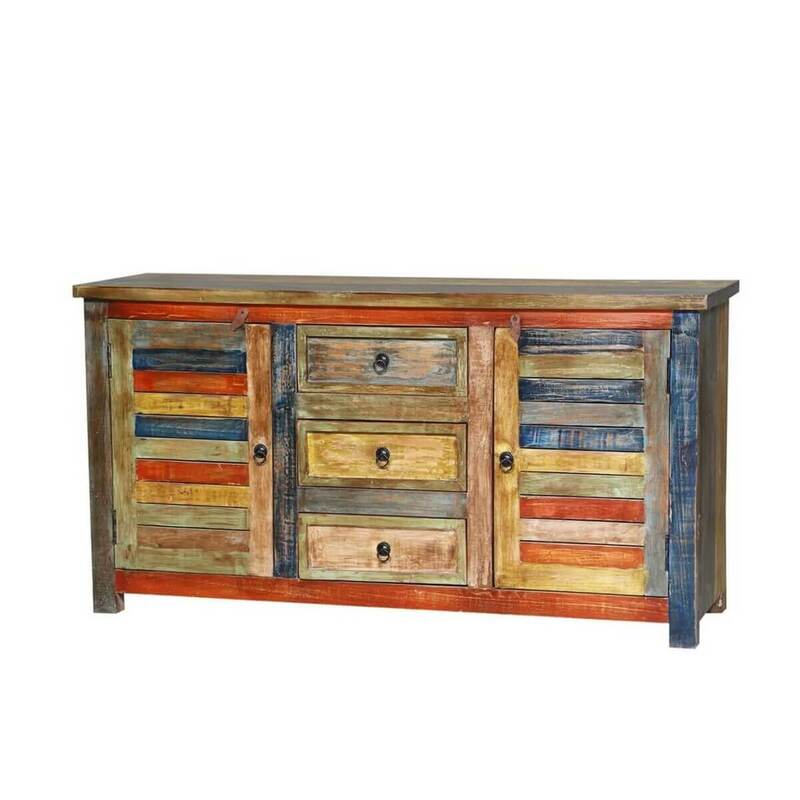 Our Truesdale Reclaimed Wood 3 Drawer Large Rustic Sideboard Cabinet is the perfect blend of color, efficient, and eclectic beauty that draws compliments wherever it is placed. 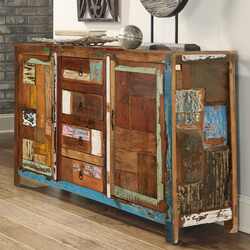 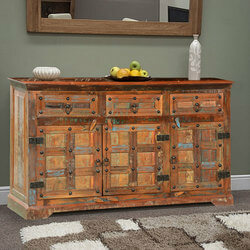 If functionality were an art form, this rustic sideboard cabinet is a maestro. 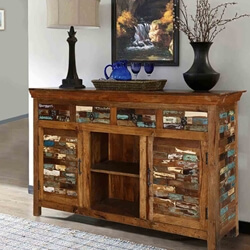 Ample storage capacity makes it abundantly practical, with three central drawers flanked by complementing cabinets that offer out-of-sight storage for any number of collections or miscellanea you wish to keep privately tucked away for later use. 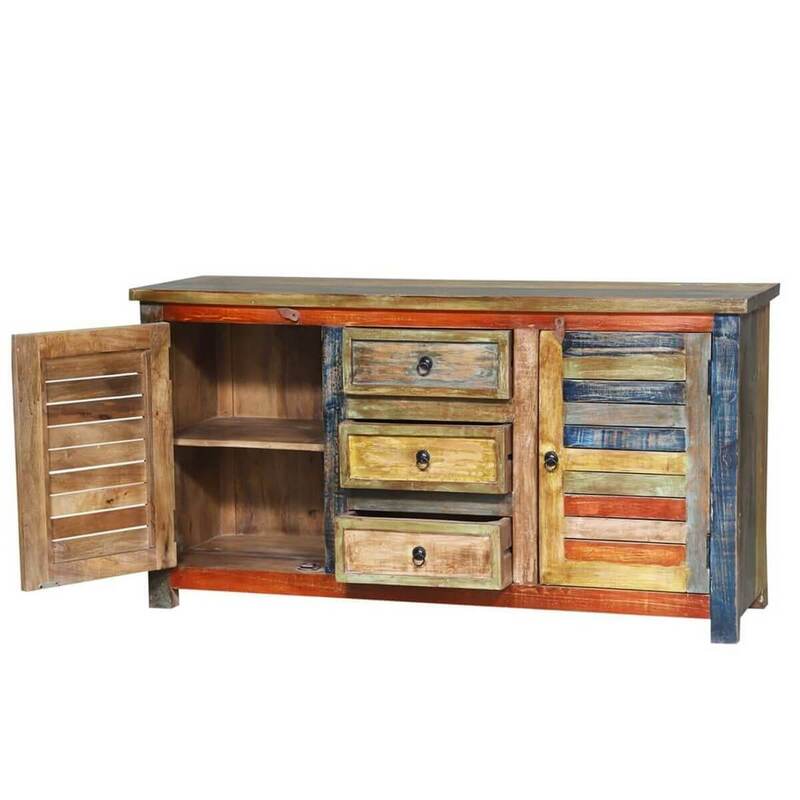 Its generous top and spacious storage serve a multitude of functions, from a place to serve dinners and store dinnerware in your dining room, to a handy kitchen companion, attractive office piece, or entertainment system for your living room or den. 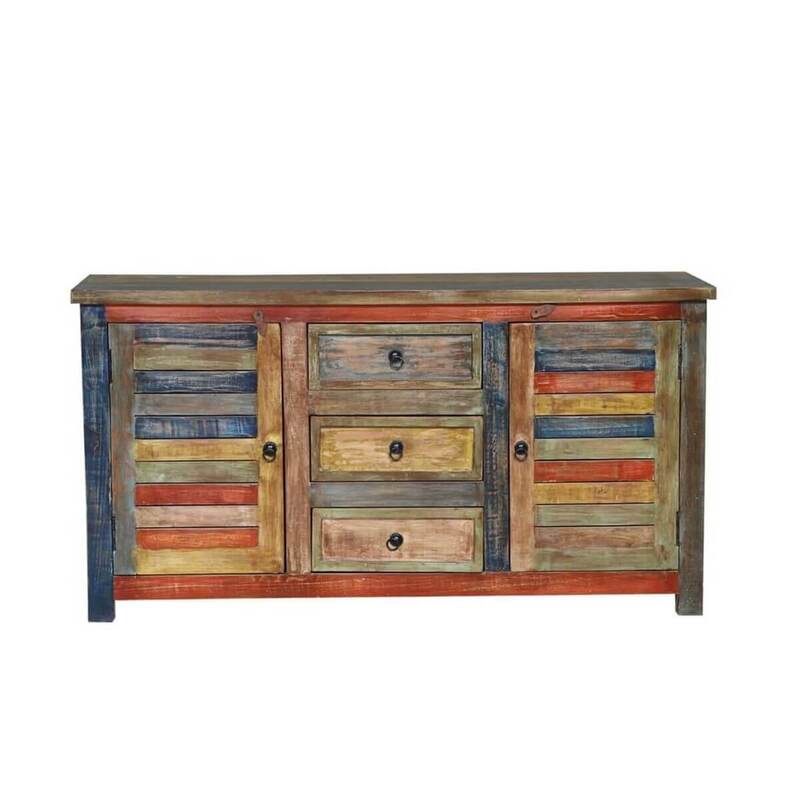 This solid wood console buffet combines a rich, multi-tonal finish with antiqued metal pulls and reclaimed wood that together grants a unique, eco-friendly statement with incredible interest. 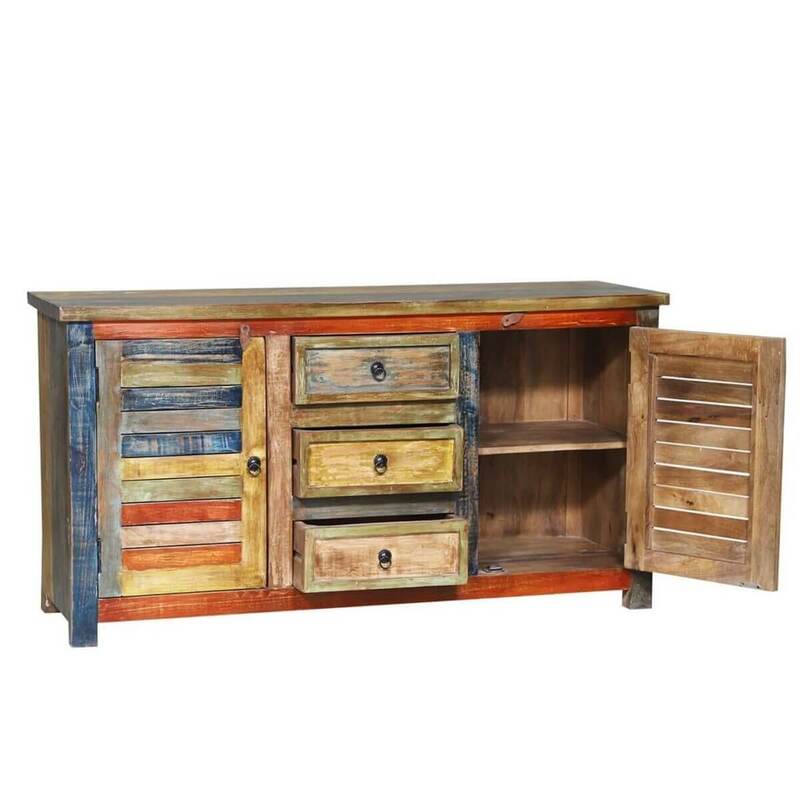 This weathered aesthetic makes a bold statement that emphasizes the intricate natural wood grain of distinctive bands and grooves. 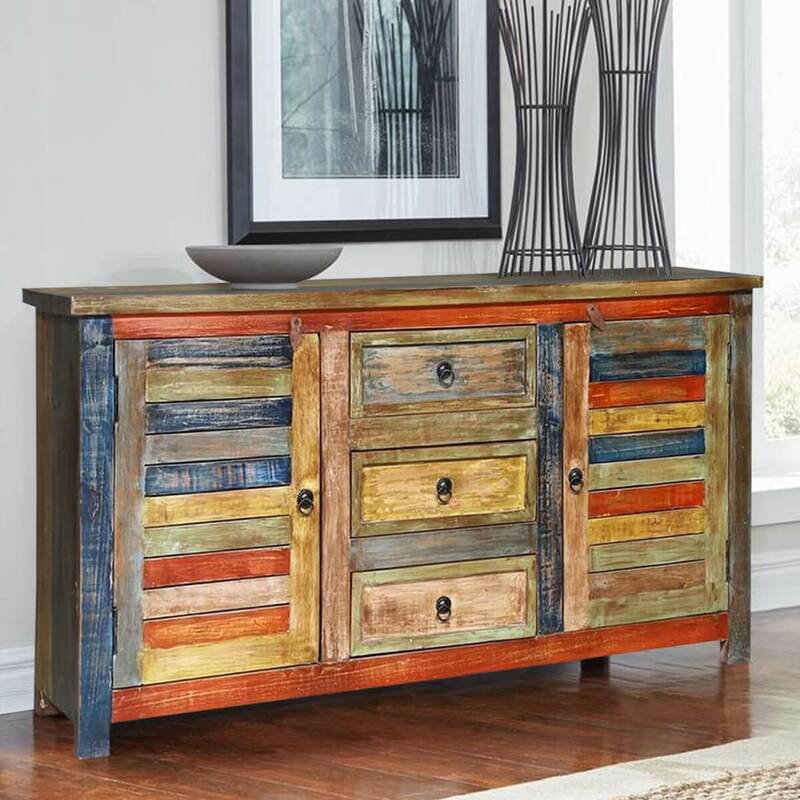 Both cabinet doors are finished with a slated front, accompanied by antiqued metal pulls that add the appropriate finishing touch, all while appealing to the visual interest of its eye-catching color scheme.